From our wide-eyed waking moments into a world full of wonder to our later years our life to ponder, there’s a deep compelling need to create, be it in the form of drawing, the shape of sculpting or in the way of artistic expression. This compelling is much like a clarion call into action, that upon heeding the calling, we feel the need to set our creative energies into full motion… and create something. To create is part of our genetic programming and here at the Creative Arts Studio in Royal Oak, Michigan, you’re allowed to do that very thing – to create something of your own artistic volition! One of the most alluring facets about art – is that there’s never just one facet of art, but rather many. Art comes to us in the form of graphic art such as media, print, photography, and painting. Then not to be outdone, there are the performing arts, which appears to us in the forms of music, theater, and dance. 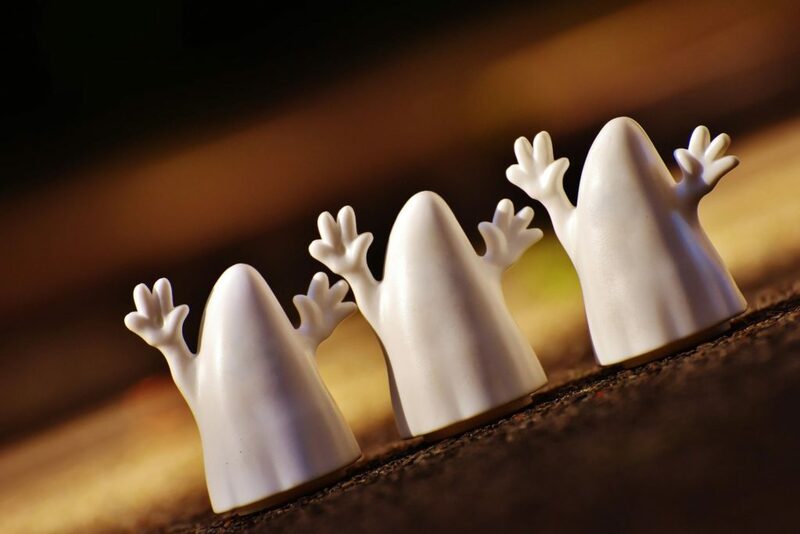 There are also the crafting arts such as sculpting, pottery, and woodworking that provide us another facet of art worth delving into and discovering. Still, art continues to compel us higher – into even greater depths of discovery, where imagination and ingenuity know no boundaries… Here, at the Creative Arts Studio in beautiful, Royal Oak, Michigan, we’ll help you push your creative energies further, in new forms of artistic expression! Our modern studio is equipped with the best tools of the artistic-trade – from canvas to paintbrushes and from ceramic figurines to kilns, the Creative Arts Studio is where everyday people from every age group and walk of life, become crafters and creators – make art in all its beautiful forms and outlets. Whenever inspiration hits, it’s that clarion call to create ringing through loud and true that compels us to paint, sculpt, craft and build. Here imagination is king and being creative is to free the artist within. CAS – an adventure in the arts! The Creative Arts Studio invites you and yours out to our studio-artroom for an adventure in art, here in Royal Oak, Michigan, just outside of Detroit. There are many facets of art here for you to explore and indulge in. You can paint on canvas, paint on pallet boards, paint on pottery or paint on ornaments. You can also make Raku pottery, mosaics, glass fusing, or you can try your hand at wheel throwing. To experience art in all its forms is like an adventure in creativity, where whole new worlds await your discovery! Let the Creative Arts Studio be your art-adventure headquarters for an experience in creativity that will keep you painting for years to come!. Art Camp: Your Best Week Ever! 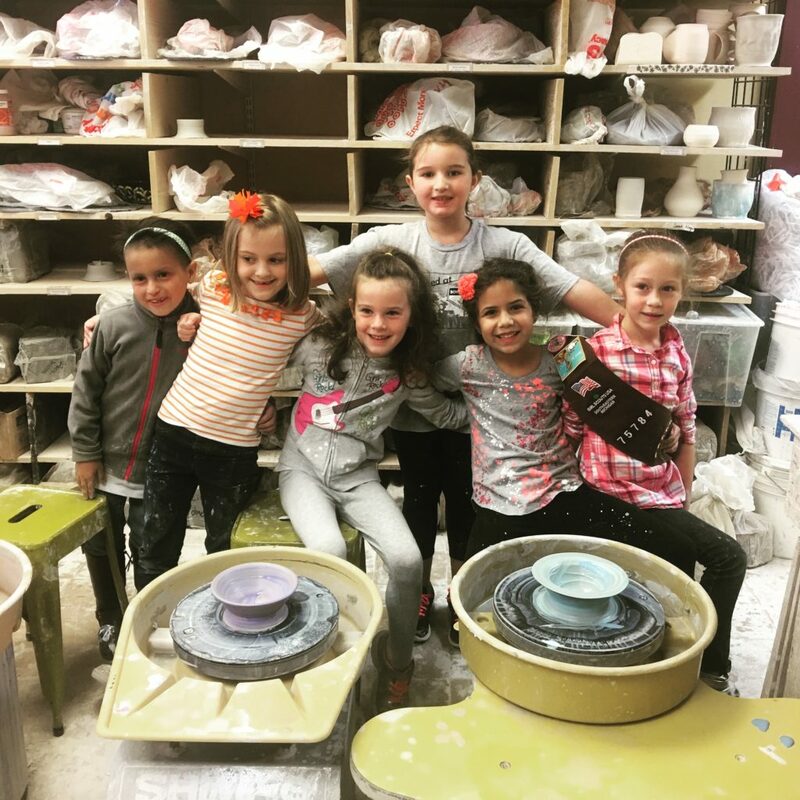 Whether Winter break or Summer vacation, Art Camp at the Creative Arts Studio in the town of Royal Oak, Michigan is certain to be one of the best weeks you’re likely to experience for artistic fun and creative camaraderie! 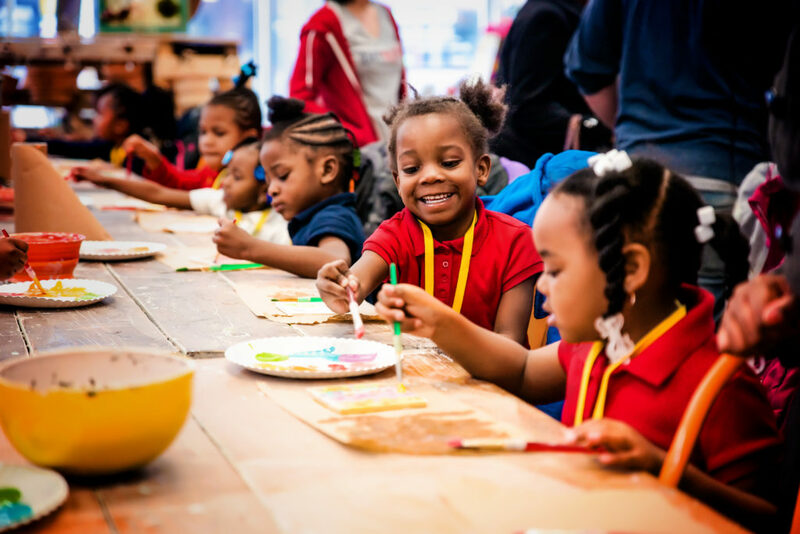 School breaks or field trips in greater Detroit, Michigan all have one thing in common – they get everyone out of school for a time! However long they last, they are always a welcome way to celebrate with friends and to commemorate the out-of-school occasion for all that it’s worth. 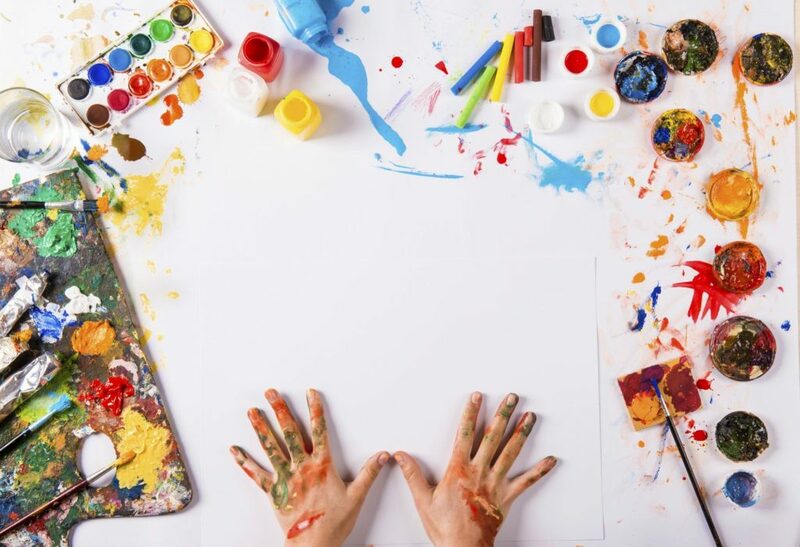 Art Camp, like that presented by the Creative Arts Studio of Royal Oak, Michigan is one such occasion and place where artistry and creativity mix nicely to make for the perfect camp experience! From the artistic creations crafted there, to the student’s sense of accomplishment experienced there – Art Camp is the ultimate get-away that may very well become your best week ever. From the camaraderie felt to the rewarding satisfaction that only a teacher understands when observing their students’ experience the wonder of discovery through the arts! At the Creative Arts Studio in beautiful Royal Oak, Michigan, we enjoy partaking in your students’ creative development and in planting a passionate seed for the arts to the next generation. Inspiration to develop your artist’s skills even further. 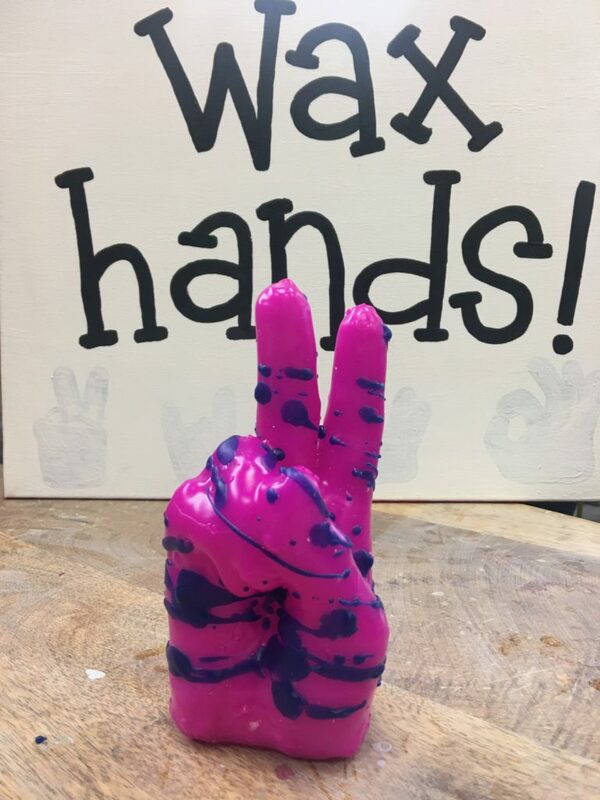 While in Art Camp, your students can partake in pottery painting, wax hands, spin art, wheel throwing, hand-building with clay, mosaics, glass fusing, canvas painting and a number of other creative activities that will keep them engaged. It is this engagement, that keeps them interested in the arts and wanting to develop their artistic abilities even further. The Creative Arts Studio has some of the industry’s finest instructors, who will coach students on the different forms of art and the best techniques still being used today. Consider enrolling your students in art camp at the Creative Arts Studio of greater, Detroit, Michigan for a memorable, momentous experience in your students’ artistic development. Art has been shown to have a tremendous benefit to students in other non-art related subjects too. We are, therefore, excited to be part of the art camp learning platform for your students to hone their skills. Here, in our art camp studio, we will keep your schedule full of art-centric activities that can help make your week the best one ever! If school is out you can bet that we’ll be running Art Camp for kids here at the studio! Our week-long session is perfect for young artists of all ages and skill levels. 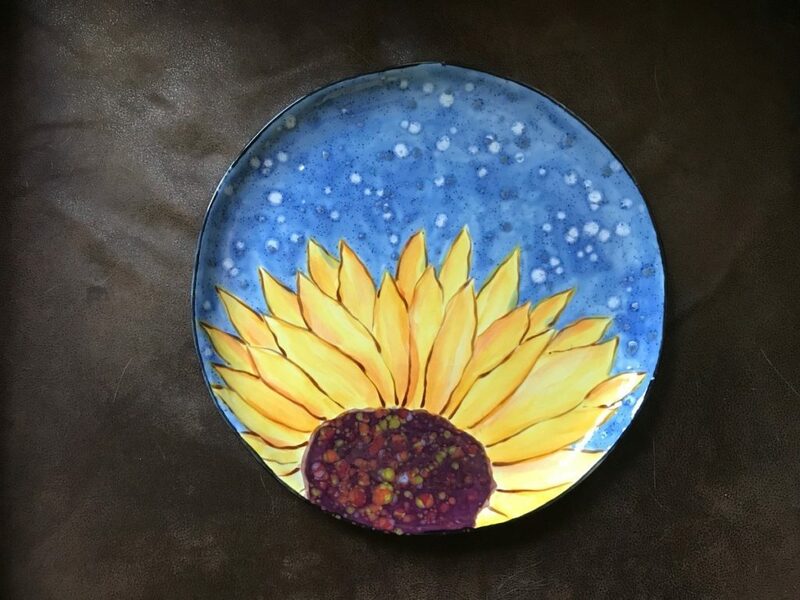 Projects include Pottery Painting, Mosaics, Glass Fusing, Beading, Wheel Throwing, Hand Building with Clay, Canvas Painting, Wax Hands, and more! Each day we’ll create 2 or 3 projects, eat lunch, make friends, and have a whole lot of fun! Try out every project that we offer at the studio and maybe even a few surprises! Ages 6-14 yrs, all skill levels welcome! Discounts when you sign up with friends! Schools are one of society’s most important institutions, as these fine establishments of higher learning are intricately involved in preparing today’s generations for society’s future challenges and opportunities. These higher institutions are integral for passing on humanity’s highest ideals to those who most can embody them best – our youth. To these institutions of higher learning, they represent some of the finest among us, and the Creative Arts Studio is a proud sponsor of YOU – our incredible local schools throughout Royal Oak and Detroit, Michigan communities! We support you, our amazing local schools by offering classes that promote an awareness and appreciation for the arts, helping your students to pursue their art interests further within the arts programs offered at your local campuses. Imagination makes for a memorable, momentous experience. At the Creative Arts Studio, students of all ages, grades, parents, and faculty alike have each enjoyed a bonding experience like no other! 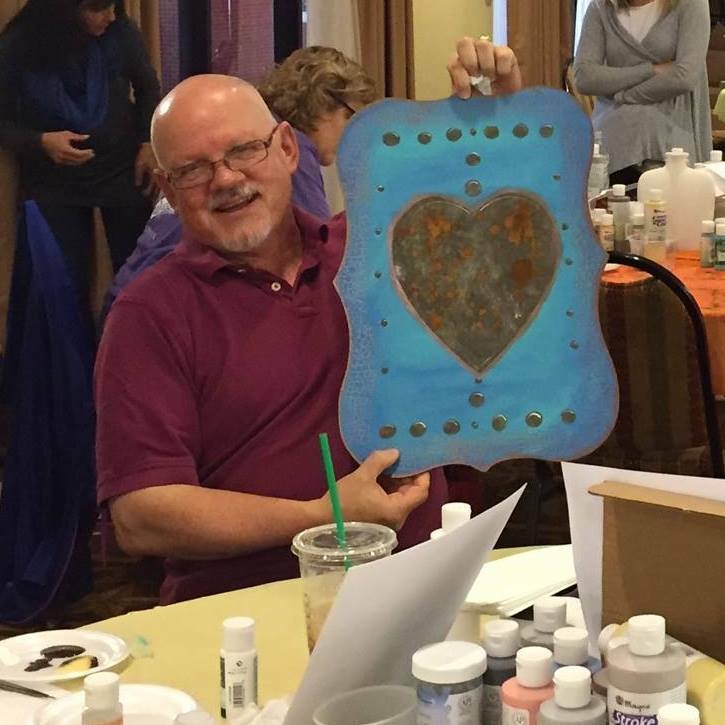 It’s a bonding experience at our Royal Oak, Michigan studio where you can completely paint the picture! It is the experience itself of coming out, working with your own hands and creating something imaginative that truly makes it a memorable moment that you’ll always remember. 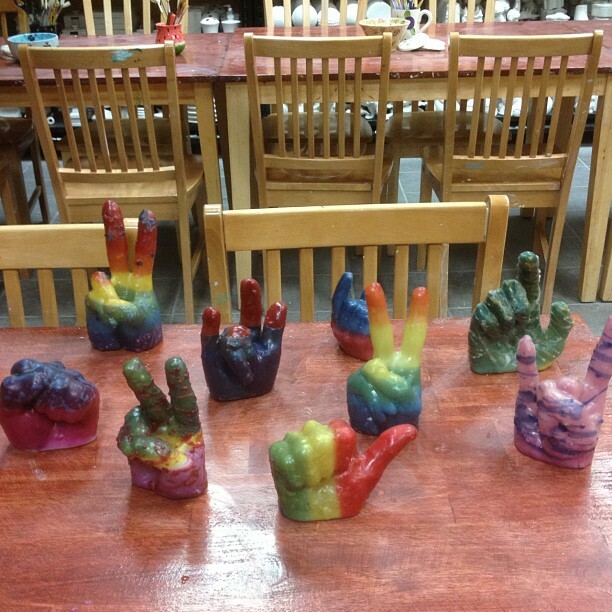 When considering a class field trip, team outing, or school function, we invite your administration and students to attend any one of our pottery classes or painting classes, where everyone can be an artist and let their imagination flow, form-free… Offering canvas painting classes, pottery painting, mosaics, hand-building with clay, and even ornament painting classes. The Creative Arts Studio has a little something fun for each of our greater Detroit area school districts and their creative students. It’s here where their students’ inner artists can come alive and roam free. Studies have shown that the arts can have an incredibly positive and empowering impact on everyone, and particularly with students when their young minds are at their most impressionable. 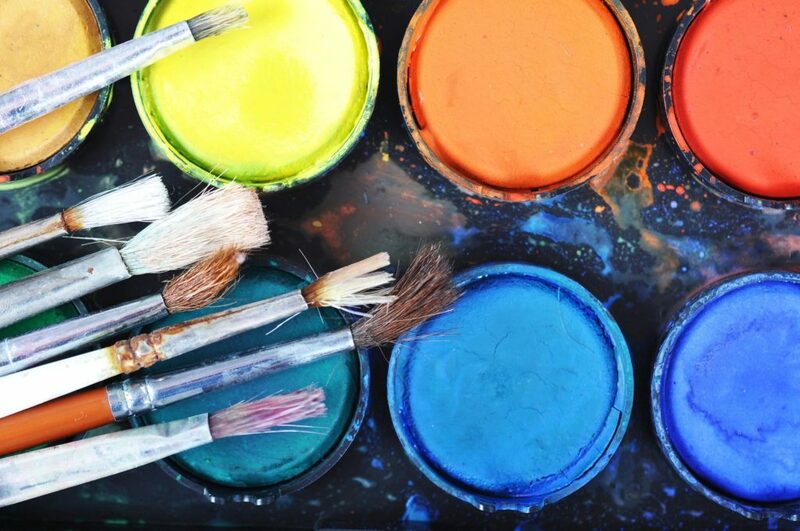 The exploration and expression of the arts can expand your student’s imagination into still untapped, learning quadrants of their brains, enabling them to be better learners in even other, non-art related topics. Students are welcome to explore their innate creative genius here at the Creative Arts Studio – where ImagineMagic still happens. We welcome you and your students to make it YOUR studio for the day and attend any one of our art instructional classes. Our artistic staff is passionate and appreciative of the arts in all its wondrous, forms! We think you’ll agree with our online reviewers and also with us – on why we like to consider ourselves greater Detroit, Michigan’s premier, do-it-yourself, studio, art-gallery and workshop! Also, we realize you may not have transportation to our studio….so we can also travel offsite to your school too! So schedule a field trip for your students soon, for a bonding experience they’ll come to value- one that’s centered on the arts, channeled through the imagination and created by their own hands! Just as the word “creativity” and the Creative Arts Studio are synonymous, so is the name Tim McPherson and the word “artist”. Chicago based painter and artist Tim McPherson is a household name in the vibrant world of painting. He has been teaching painting classes to art enthusiasts for over 30 years now and is highly regarded as one of the industry’s finest in the field. 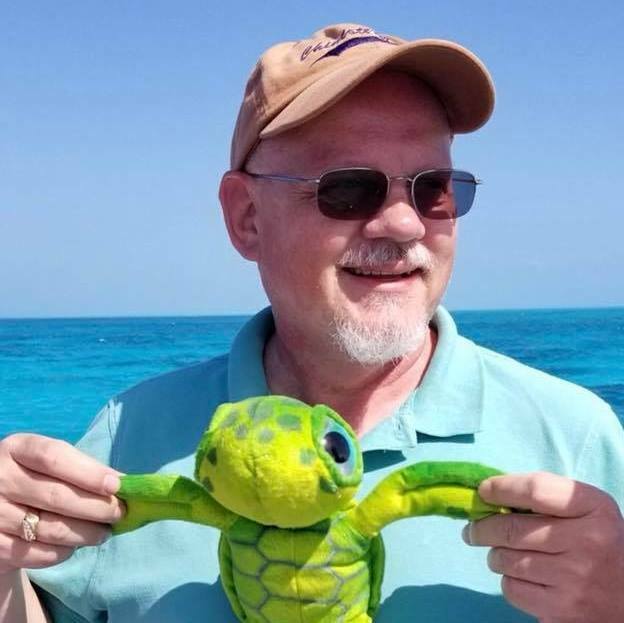 The Creative Arts Studio is hereby proud to present this distinguished artist Tim McPherson, as our special guest here at our Trip Advisor-recommended studio in Royal Oak, Michigan. 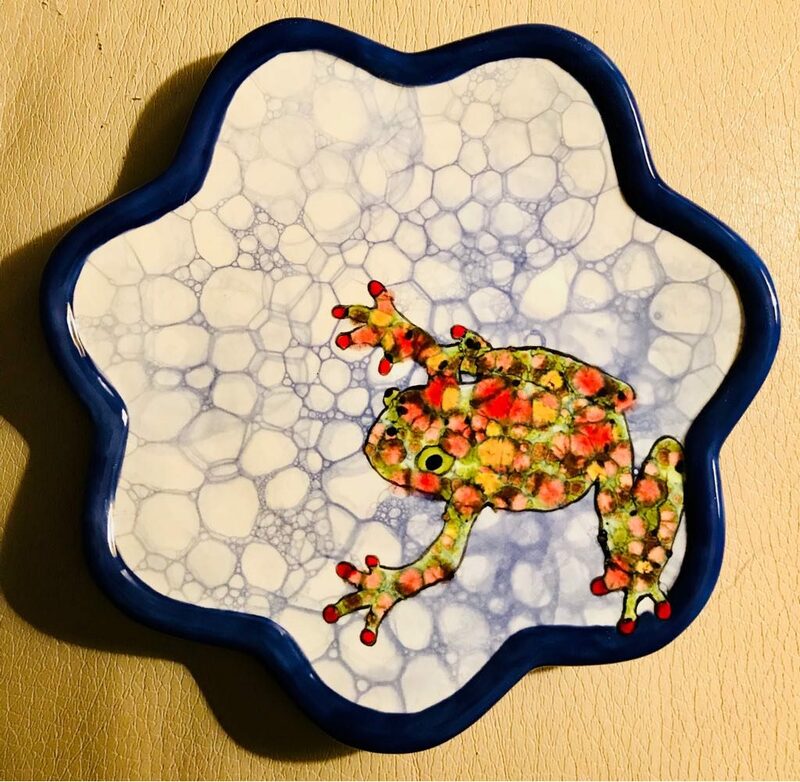 Hobbyists and art enthusiasts alike have all been inspired by the works of Chicago’s own, Tim McPherson, who regularly visits studios around the United States and Europe to share his expertise and appreciation for all things pottery painting. His celebrated art has been featured in workshops around the country and Europe, and is prized by people everywhere. Tim will be instructing a limited number of students, imparting his passion and knowledge of the painting arts, here at The Creative Arts Studio in beautiful, Royal Oak, Michigan! As local artists and enthusiasts ourselves, we are proud to present this highly acclaimed, technique driven painting class to the greater Detroit area, Royal Oak, and surrounding Michigan communities! The staff here at the Creative Arts Studio regularly supports and promotes the arts through do-it-yourself workshops and crafting group classes held throughout the week. 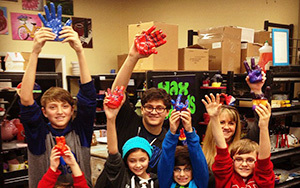 Individuals, groups, and organizations alike have participated in the Creative Arts Studio’s popular do-it-yourself workshops, that cover a broad palette of art forms such as: wheel throwing, spin art, wax hands, mosaics, glass fusing, pallet board painting, canvas painting, ornament painting, and the ever popular – pottery painting. We cordially invite you and yours out to this limited RSVP Event for a personalized painting class with the veteran, Chicago based artist – Tim McPherson! Tim’s 30-year painting profession highlights as much multi-faceted depth as does the tonal textures of his prints. 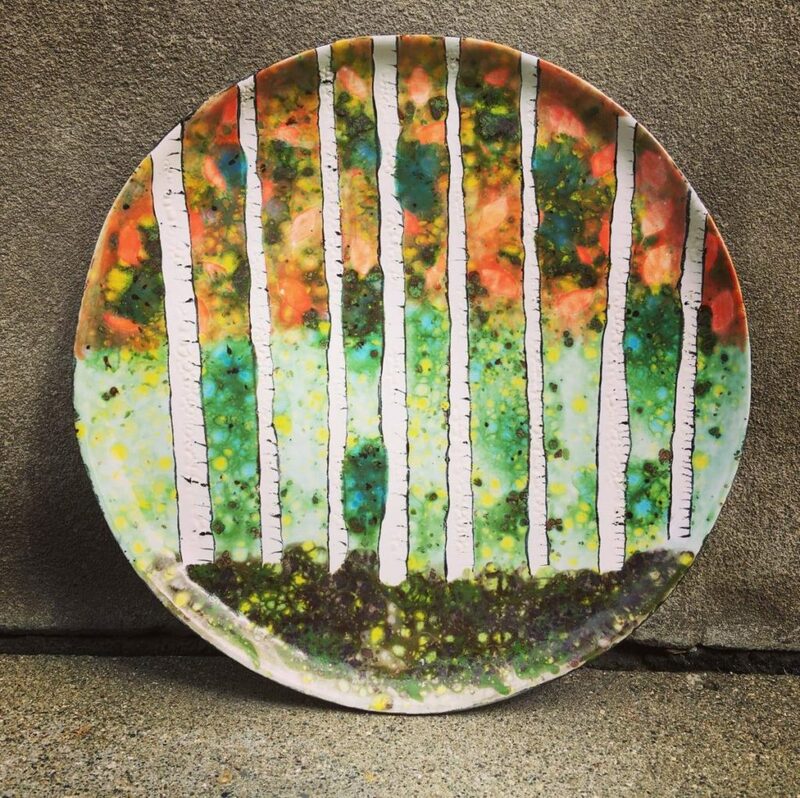 Some of the classes that Tim will be teaching are the “Jungle Gem Birch Trees”, “Batik Flowers” and “Holiday Snowman”. Enthusiasts and students alike, of all ages, backgrounds, and professions have gleaned from Tim’s personalized attention to detail and hands-on approach to teaching the arts. Now if you’re a pro, a long-time practitioner, or a beginning enthusiast of the painting arts, you will discover new dimensions of creative expression that will keep you inspired for years to come! Reserve your seat now with the Creative Arts Studio for a personalized painting class with Chicago’s Tim McPherson, where you’ll explore new techniques that will open up your creativity to uncharted realms of artistic possibility! Tim McPherson is back to teach you a super fun project. Sign up with a friend, family, or come by yourself and learn some amazing advanced painting techniques from a true expert. Throughout the year, the Creative Arts Studio offers classes to provide students with a well-rounded understanding of the creative and visual arts. Classes being offered are mosaics, glass fusing, pottery painting, canvas painting, pallet board painting wheel throwing, and hand building with clay, which cover design and technique applications. CAS instructors are highly skilled artisans, providing decades’ worth of combined experience to help students discover or rediscover their inner artist. Our modern, do-it-yourself facility in beautiful, Royal Oak, Michigan is above all a studio, where creativity is more than encouraged; it is lived and taught. In communities where creativity is encouraged and the arts flourish, there is a thriving energy that draws visitors, inspires residents, and promotes the local economy from within. When the arts flourish, so also does the community. Creativity begets creativity and it is this collective, creative conscience that the local community “taps” into, which often results in new people trying their wings at the arts for the first time. To those newly inspired, breakout artists, the Creative Arts Studio welcomes you to our local studio, where you can put your talents to test. Here also you can connect with other like-minded individuals to hear fresh ideas, to learn new techniques, and receive ongoing inspiration. To those members of our extended artist family, the Creative Arts Studio also welcomes you to our local studio, where you can continue fine-tuning your finishing touch by attending any one of our classes. For the most part, these classes are one-time visits, typically lasting 1-3 hours. 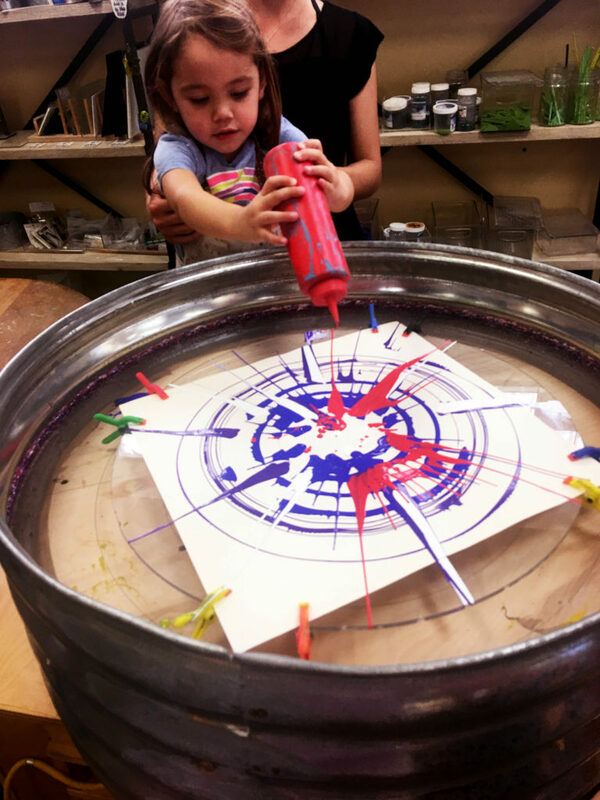 Bubble Painting – We teach you how to mix glaze with soap and water and actually blow and paint with bubbles. Tim McPherson Painting Classes – Chicago artist Tim McPherson stops by the studio every few months to teach a technique-driven class. Hits in the past include Jungle Gem Birch Trees, Lotus Blossom Flowers, and a variety of holiday designs. Mommy/Daddy and Me – Meant for toddlers and their parents, we read a story and then create a handprint project related to it. Where the Wild Things Are, Monster Mugs and the Lorax have been popular classes in the past. 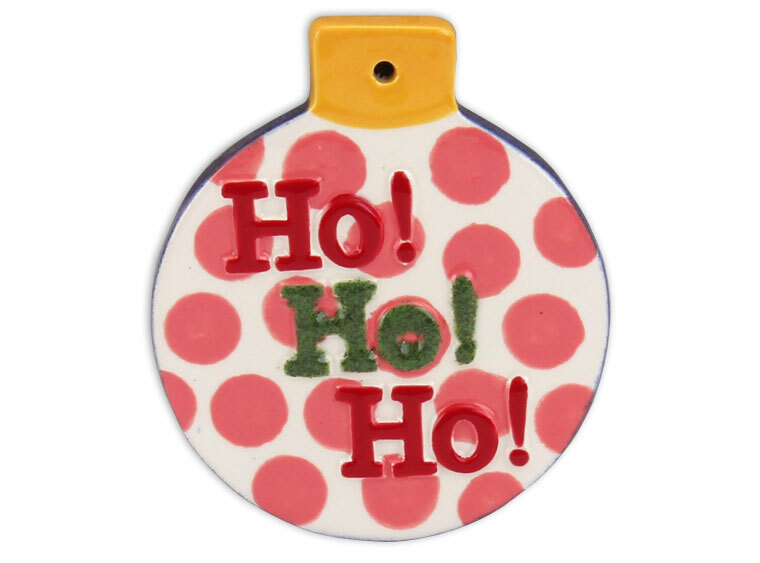 Ceramic Christmas Tree Painting – Everyone’s Mom or Grandma has a light up, ceramic Christmas Tree. 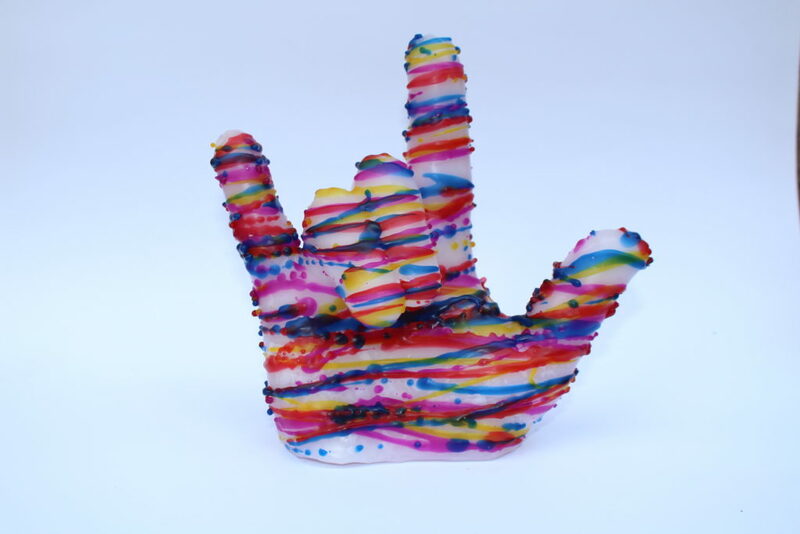 We show you how to blend colors and add special effect snow glaze to make them look just like the real thing. Hand Warmer Mugs – We wrap a slab of clay around a form and create a pocket in the side, big enough to fit your hand. That way when you drink a warm beverage in the Winter and you can keep your hands toasty. Tween Club – Every other Friday night we host a Tween Club. We provide pizza and pop and create handbuilt projects as well as having a bowl thrown on the pottery wheel. Tweens have a blast and parents get a few hours to spend out at the restaurants of beautiful downtown Royal Oak. Glass Fused Night Lights – Using colored glass and silkscreens, we create usable night lights with super detailed designs. We have tons of designs including flowers, sea life, animals, holiday themes, and much more. 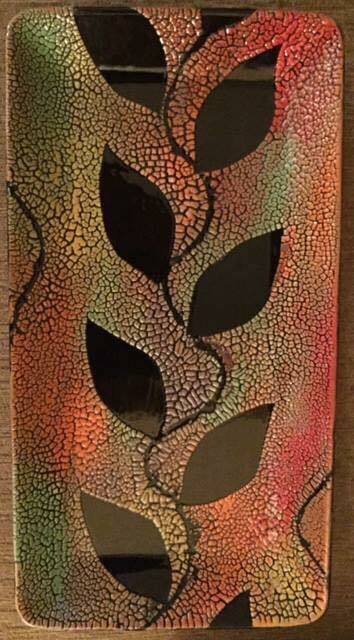 Introduction to Glass Fusing – Get an in-depth lesson on the ins and outs of glass fusing. Learn all about the glass making process, firing, and how to properly cut and place your glass. Organize your own class anytime. Choose any design from our website. 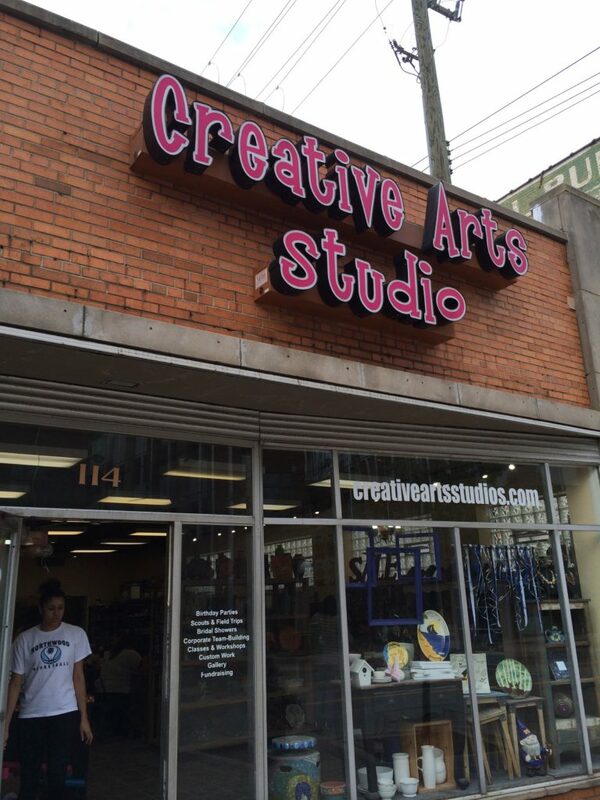 Whenever you’re in the Detroit, metropolitan area, be sure to heed the call of your inner artist by making it out to the Creative Arts Studio. Royal Oak, Michigan’s premier, do-it-yourself, studio. 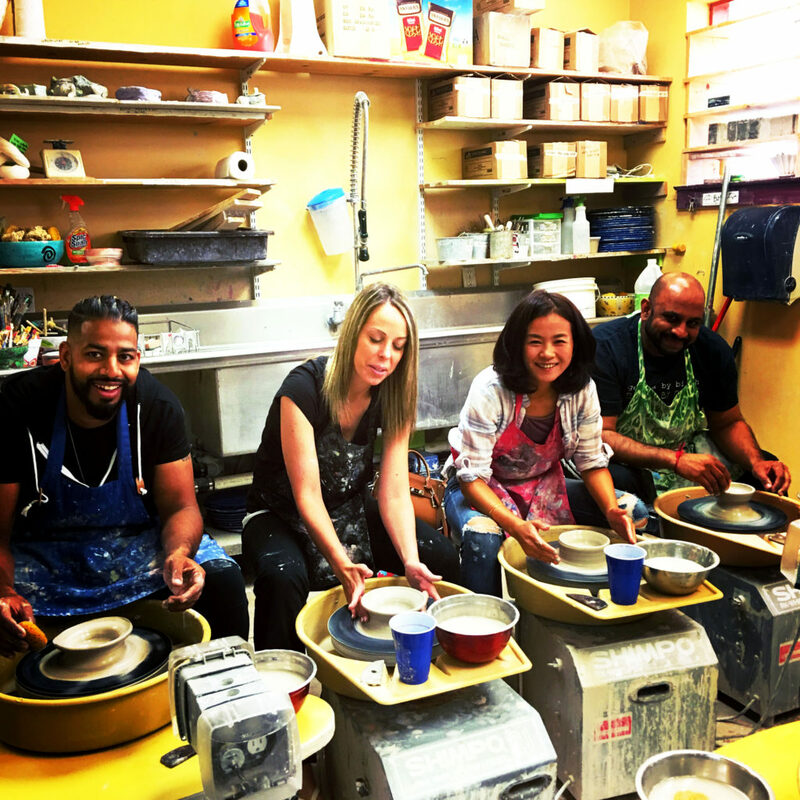 At any of our painting or pottery classes, our instructors will help you develop your talents by teaching you the time-honored techniques used by professionals today. Upon completion, students will be equipped with the new skills necessary for taking their art to even higher heights. They will also be recharged with fresh inspiration for a lifetime of artistic expression! Ornament painting parties are perfect for schools and scouts, or bringing family and friends together for a time of holiday, festive-fun. Holiday parties are joyous occasions in themselves and whenever there’s ornament painting and decorating involved, the fun is taken to whole new levels! Kids and adults alike, rediscover their artistic sides during our ornament painting sessions and their Christmas creations are often, beautifully-rendered works of art. So, if you’re planning on a fun-filled family event for the holidays that is different, come to rediscover your artistic side at the Creative Arts Studio – Royal Oak’s finest, do-it-yourself art studio! Decorating for the holidays has been a family tradition since as long as the holidays have been celebrated. Households across America often begin partaking in the festivities early, decorating trees, hanging up lights, and inflating their favorite, life-sized, Christmas characters. No amount of holiday decorating would be complete though, without ornament painting! Ornament painting is now in season at the Creative Arts Studio and we invite you to celebrate this long-held, holiday tradition with us here at our studio in historic, Royal Oak, Michigan! 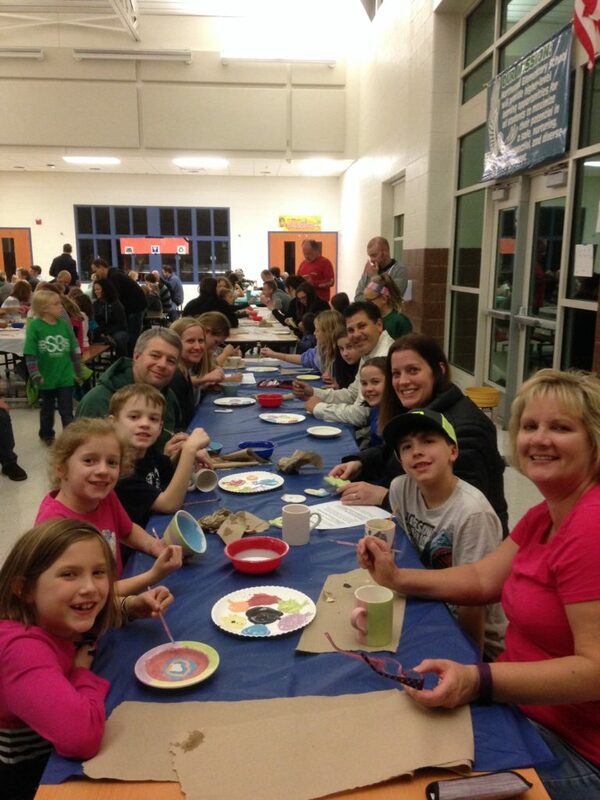 The Creative Arts Studio is the ultimate place to have your next school, scout or family, holiday get-together. We do offsite events too, if you’d like us to go to your school or location. Our studio in Royal Oak, Michigan offers many different ornaments and packages to choose from. Whenever there’s friends, family and fun involved, it’s sure to be a holiday worth remembering. Ornament painting is one of the best ways to welcome in the holidays! We welcome you to experience a new holiday tradition with us! When it comes to holiday decorations, there’s something unique and satisfying about a do-it-yourself, ornament-painting session! It’s the act and art of making something from nothing…. of mixing in your own colors and designs – that adds to the experience! Kids enjoy physically handling the ornaments and getting their hands covered in paint, while parents enjoy the family-fun time while observing their kids as they immerse themselves in the experience. It’s the joy that comes of working with one’s hands that helps make the Creative Arts Studio, the premier do-it-yourself art studio! Allow us to play host for you on your next holiday event or family get-together! 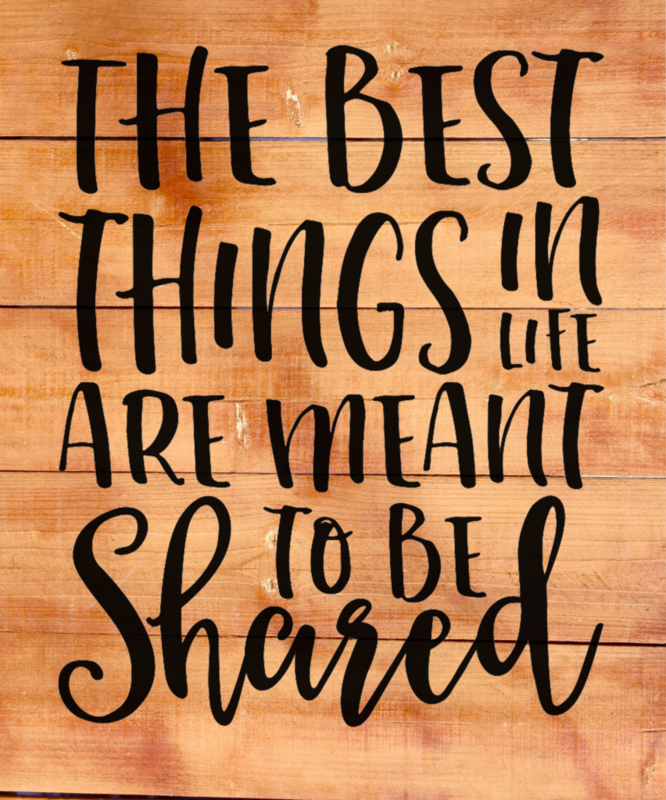 We’ll be sure to include all the fun, memories and the creativity too! From our family to yours, the staff here at the Creative Arts Studio welcomes you into our studio, where the kiln is firing, the creativity is flowing, and memories are always forming! Fun for the whole school, scout troop or family! Finished ornaments make great gifts!